Scottie & Son Auto Center: The Team You Can Trust! Breakdown after 5? No worries! The same number will roll to the cell phone of the driver on duty. At Scottie & Son, we understand that breakdowns and accidents can happen at any time. 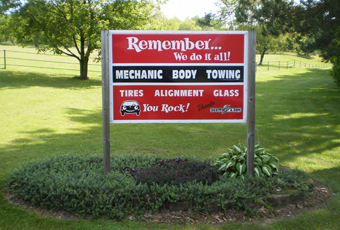 That's why we provide fast towing services to our customers and schedule your repair immediately! Our drivers are trained in proper towing protocols. They will keep you and your vehicle safe. In addition, we are priced competitively and accept insurance. 763-689-3259. After 5 pm or on weekends, call our paging service at 612-648-5814 and leave the phone number where you can be reached. We will call you back ASAP!